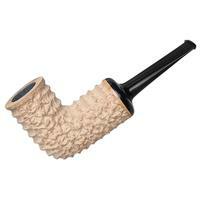 This is a fairly trim, lean design by the standards of Gregor Lobnik. 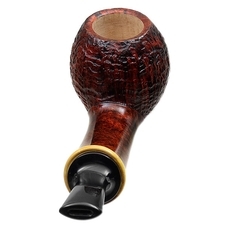 Lobnik's distinct style draws inspiration from architecture, utilizing clean, sparse lines to draw attention to his use of what he considers to be "perfect" grain (either straight or cross). 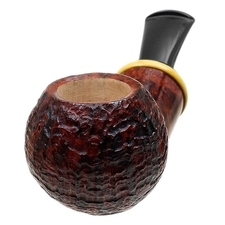 To that end, Lobnik has here used a smoothly-polished, stout shank to draw visual weight to the sandblasted bowl, and, of course, the undulating grain and tight licks of flame therein. 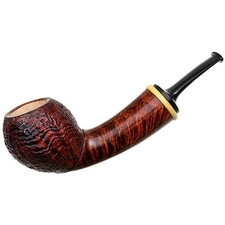 It should be noted that, though the processes by which individual artisans achieve a vivid contrast stain such as this are closely guarded, the procedure requires considerable skill, and oftentimes, considerable trial and error. 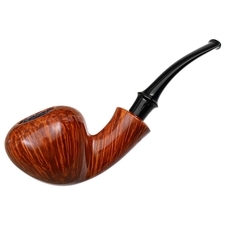 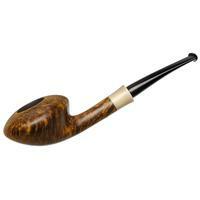 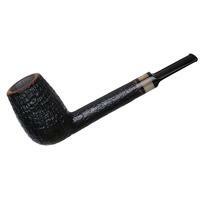 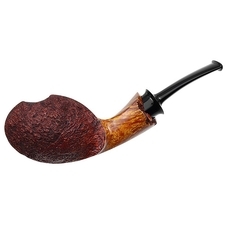 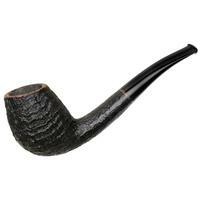 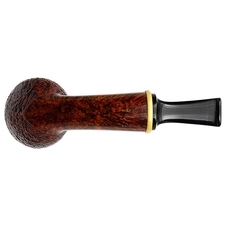 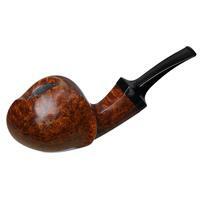 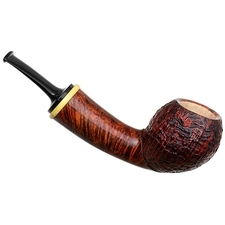 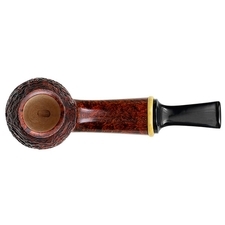 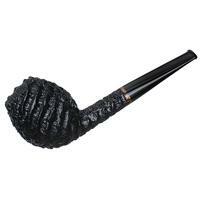 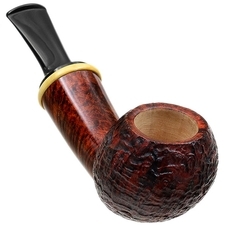 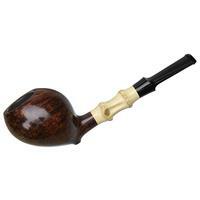 This briar sits effortlessly in the hand, but with its sandblasted texture, it's sure to keep your eyes and fingers interested.